Along with safe food, I’ve also tried to use natural medicine for my kids. Sometimes we have to go to the doctor but there are many natural remedies that can help with common childhood complaints. 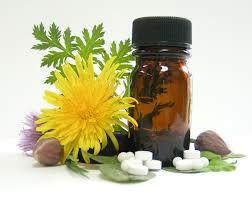 I started using homeopathic remedies when my kids were little. They are a great way to help them through the numerous colds and flu’s that they get when they’re young. If a child is really ill you need to take them to your doctor of course, but I had a number of times when the remedies really turned things around so my kids didn’t end up needing to go. Here are four remedies that I’d recommend to have around the house if you’ve got young kids or grandkids. You can get them at any health food store and I’d suggest a 30c potency. Pulsatilla is often used for colds. If your child is clingy and won’t leave your side, has a left-sided earache. Wants to be carried and rocked and will fuss terribly if you put them down, this is the remedy to consider. Some keynotes for Pulsatilla: Desires company, will not be left alone. Made better by comfort and fuss. Better for gentle rocking. Thirstless. Thick bland yellow-green discharge from the nose. Desires cool open air. Left-sided ear pain. This can be a great remedy for any age when you have a cold with the same symptoms. I’ve used Belladonna successfully with my son, when he had a flu with a high fever. He was fine and the next thing I knew he woke up with a bad earache and his face was bright red. He had a high fever and he was really out of it. These are the kind of symptoms where you get freaked out as a parent! I gave him the remedy and within an hour his fever had come down and he was doing much better. By the next day his earache was gone. Keynotes for Belladonna: Sudden onset with great intensity. Hot red skin. Hot head and cold feet. Intense pain throbbing in character. Dry skin. Twitching and jerking. Burning painful right ear. Chamomilla is the remedy that you can think of when your child is so irritable that you are at the end of your rope. LOL It usually affects the right ear, and the earlobes can be red. One cheek can be red, while the other is pale. They are usually in very bad temper and can be very thirsty for cold water. Keynotes for Chamomilla: Very irritable and angry. Terrible temper. Great sensitivity to ear pain. Wants things and then rejects them. Demands to be carried. One cheek red, the other pale. Better for being carried. This is great remedy for colds and earaches of sudden, intense onset. It can come on after exposure to cold, dry wind. There can be burning pains in either or both ears. They will be restless and can be feeling anxious and afraid. Their skin can be hot and dry and they are very thirsty for cold water. The face can be red and congested. Keynotes for Aconite: Sudden violent onset. Exposure to cold, dry wind. Restlessness, Anxious. Intense burning, stinging pain. Worse for noise and covering. Very thirsty for cold water. Congested circulation. Dry hot skin.